By default these views will display every record stored from that object. 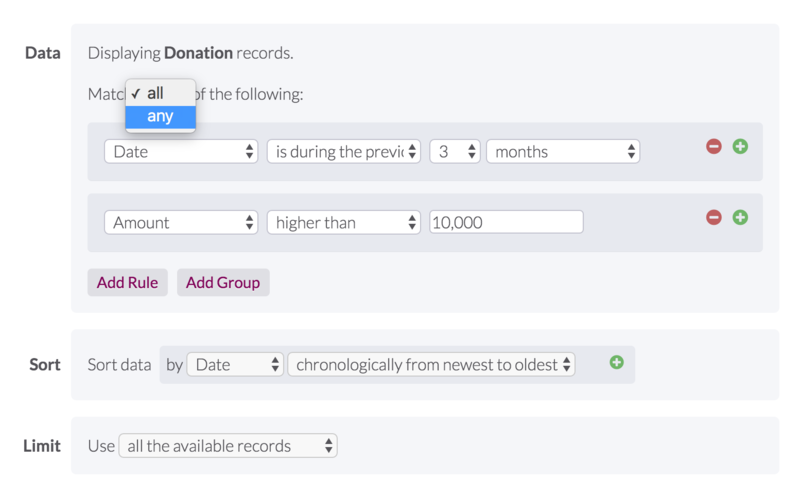 Data - Add rules to define and limit which records will display. 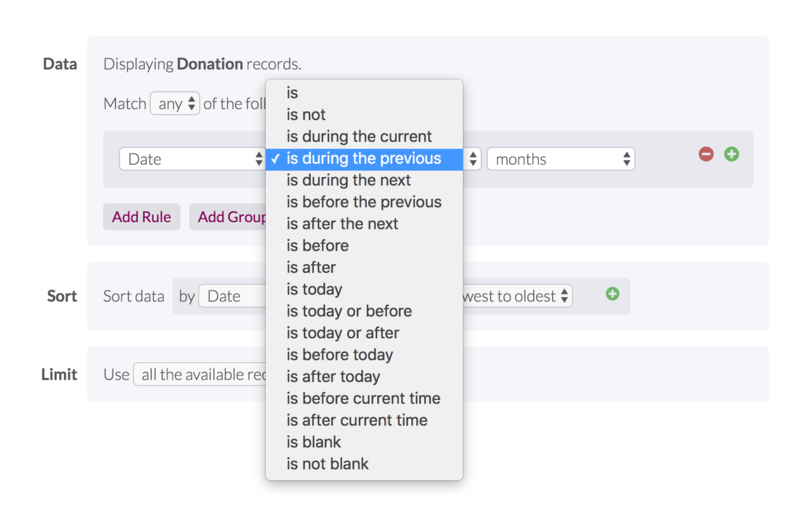 Sort - Define the order in which records will display. 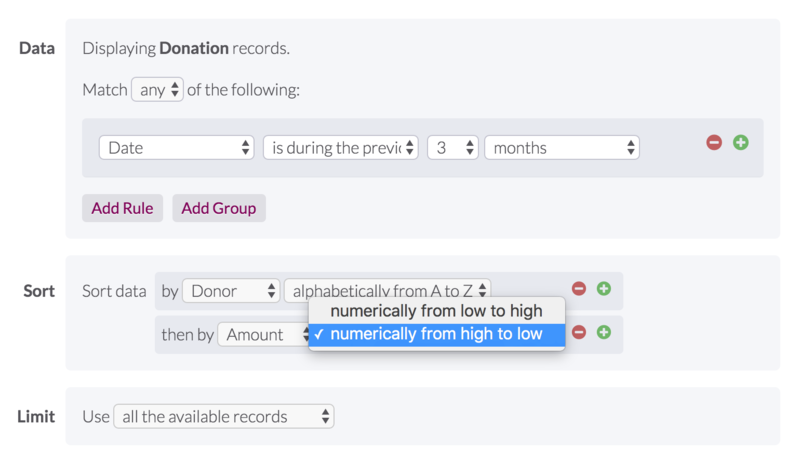 Limit - If you want to display only a certain number of records instead of all them, you can set a limit. For example, we may want to display our top 10 prospects, so we would set the limit to 10. The Data section indicates which object the table is displaying and allows you to add rules to filter the records from that object. Click "Add rules to filter records" if you only want to display records that match your rules. Groups allow you to group rules together within the matching. Two examples help to explain this functionality. Note: Object sorting preferences do not apply to records displayed in a view in any manner. Sorting on an object only applies to Builder Data record sorting and for dropdowns used with this object in a connection field.